jigsaw | Another dot in the blogosphere? Another dot in the blogosphere? This semester I had to resort to something I might have done as a classroom teacher 21 years ago. I had to manage expectations with a warning prior to a cooperative learning activity. Some context: I model and teach assorted pedagogical strategies to future faculty. One of these strategies is a variant of the jigsaw method. This is a cooperative learning activity that replaces a long and boring lecture on even more pedagogical strategies and theories. I have done this for many semesters, but I something changed last year. 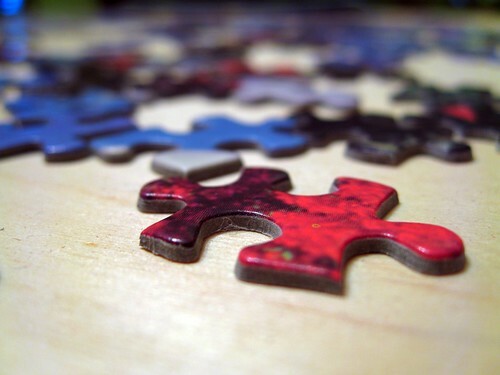 During the jigsaw, a few individuals would resort to selfish behaviours. I vividly recall three individuals at separate sessions: One shopped online, another used social media to chat with people outside class, and another played a mobile game. An outsider might baulk at the actions of these three. They are Ph.D. students who are privileged to attend a well-respected university. Most students at this level are also sponsored for their studies, so this raises the privilege ante further. I confronted these individuals to let them know they had responsibilities to their group — in a jigsaw cooperation, they were individually accountable and yet dependent on one another. I realised I was reacting to this instead of preventing it. So this semester I set expectations like I used to as a classroom teacher. I told my learners that I would give them a verbal warning if they engaged in selfish behaviour, and if they persisted, I would ask them to leave the class. No one crossed that line this semester even though a few were tempted. But I do not think that it was the threat of being confronted that led to positive behaviours. I also emphasised the rationales managing one’s self for the good of a group. The social pressure to conform and cooperate did the rest. 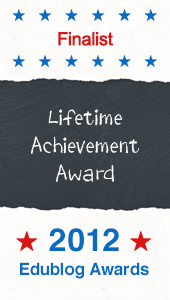 Click to see all the nominees! Get a mobile QR code app to figure out what this means! What matters in the class size gamble? Another Dot in the Blogosphere by Dr Ashley Tan is licensed under a Creative Commons Attribution-NonCommercial-ShareAlike 3.0 Unported License.